What are your Google for Education needs? Looking for Google training for your teachers? 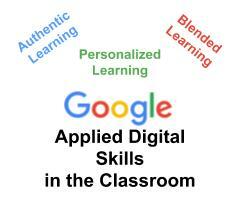 We specialize in Google training for teachers of kindergarten through grade 12 from technophobe to technophile. We are experienced in iPads and Chromebooks, so no matter what your needs, we are here to help you succeed. Whether you want to add flipped learning, flex learning, or personalized learning to your teacher toolkit, we have lived it and can help you. How is our Google Training for Teachers different? Teachers are tired of sitting through professional development that doesn’t meet their needs. We feel your pain because we are all educators and have felt the same frustration. Our Google training for teachers have been tested in fire with teachers. We have honed our trainings to include the latest educational pedagogy including blended learning, personalized learning, and authentic learning. We strive for student empowerment, and we know what it takes to get there. All of our Google training sessions are built by teachers for teachers. We offer 3-, 6-, and 20+- hour trainings to make sure your teachers have time to learn and practice with support. We also differentiate our Google trainings by including playgrounds and leveled learning through the use of video instruction coupled with face-to-face training. We strive to meet every learner’s needs and model blended learning during our sessions. Below are some of our most popular Google Trainings for Teachers offerings. As experienced teachers and instructors, we can personalize topics to fit your needs. We are ready to create a new workshop or course based on your needs. Just ask! This Google Training for Teachers is an introductory course for anyone new to G Suite for Education. This 15-hour offering raises comfort levels with the G Suite in general and includes the basic apps: Google Drive, Gmail, Docs, Sheets, Forms, and Drawings. College credit credit from College of Charleston is available for $150 per person. This is a continuation of the introductory G Suite for Education Part 1 course. This 15-hour Google Training for Teachers offering increases comfort levels with the G Suite in general by reviewing the basic G Suite apps Drive, Gmail, Docs, Sheets, Forms, and Drawings and adding Google Sites and Google Classroom. The teachers will have time to experiment with the apps during class with an expectation that they will try to use them in their classrooms between sessions. College credit credit from College of Charleston is available for $150 per person. This Google Training for Teachers covers Google Apps on iPads including Google Drive, Docs, Sheets, Slides, and Classroom. We cover SAMR for pedagogical knowledge of technology integration. If iPads are shared, we cover strategies to help students keep their work private. Then, we cover use of the Google Apps on the iPad. The goal of this course is to insure comfortability and confidence using iPads in the classroom. 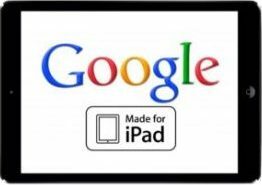 Note: Google Drawing and Google Sites are not available for the iPad. This Google Training for Teachers course is best completed after Google Apps on iPads Part 1. It assumes a familiarity and confidence with iPads in the classroom and takes users to the next level of integration. 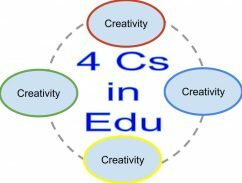 This course focuses on SAMR and the 4 Cs: Creativity, Critical Thinking, Communication, and Collaboration. Training incorporates flipped learning, flex learning and station rotation to increase personalization for the participants. After taking the G Suite for Education courses, teachers are ready to dive deeper. This 15-hour Google Training for Teachers course focuses on how to apply G Suite for Education to meet the 4 Cs: creativity, critical thinking, communication, and collaboration. We will cover giving and receiving feedback, blogging, discussion questions in Google Classroom, authentic audiences, and more. 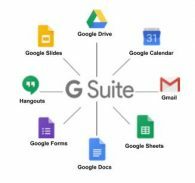 While the focus is on G Suite, we also integrate some non-G Suite tools that are available for classroom use. This 3-hour Google training covers the how and the why behind bookmarking and Google Chrome Extensions for both teacher and student. First we set up our bookmark toolbar with folders. Then we explore the Bookmark Manager and get organized. 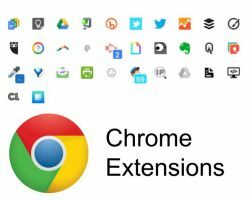 Next, we explore the Chrome Web Store for ease of use and install and explore popular extensions such as Google Docs Quick Create, Screencastify, Easy Bib Toolbar, Print Friendly & PDF, URL shorteners, and more. 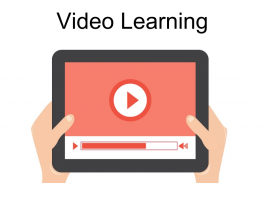 This course focuses on the “WHY” behind video learning and then moves to what you might want to videotape in advance and then how to do it easily. We will focus on the Google extension Screencastify as well as Google’s YouTube and EdPuzzle. This can easily be developed into a 6-hour course. This course can run for a half or a full day. EdPuzzle gives teachers superpowers to work with Google YouTube videos. EdPuzzle lets teachers add questions and comments to any YouTube video and incorporates formative assessments and a gradebook to help teachers track student progress and identify strengths and weaknesses for data-informed teaching.